Home / Songwriter / S.P.O.T. Born in Naples , March 21 , 1984 , John Block grew up always between music and theater. He started studying the flute study from age ten to graduate from the Conservatory of San Pietro a Majella in Naples . Since 1997 works as a flutist in orchestras and solo concerts , and in 2003 founded the band John Block & Masada formed by students of the conservatory , with which creates a draft songwriting evolving . In June 2003 he won the First National Award for best song against the war in Vasto Music Festival and begins an intense period of concerts .In February 2006, he was a finalist at the Bologna Music Festival ( award for new tracks ) , and in March won the festival of music copyright at the prestigious jazz club ” the Upstroke ” Bagnoli ( NA ) . In June, a finalist for the National Fabrizio De Andrè Award for best songwriting , held in Rome and his song “La mentalità” is included in the compilation tribute ” Fabrizio De Andrè ” . In October he received by the jury of the contest ” Rockin 2006 ” the ‘ first prize ‘ and ‘ Special Award for best lyrics ‘ . In 2007 he received from the commission of ” Musicultura Festival ” Sisme the prize as best performer . In the same year he won the final the Arezzo Wave in 2007 and is a finalist of the 4th edition of ” The artist who was not there ” sponsored by the Club Tenco , earning the right to inclusion in the compilation for the magazine ‘ L ‘ island that was not there ‘ with the song “Samba dell’impiegato”. In addition, the national importance of the jury Arè Rock contest in Puglia, the rewards as overall winner and how best live performance and also won the ‘Premio Videoclip’ by the BBC group. In July he won the National Prize “Alex Baroni” and in September he performed successfully at ‘Premio Carosone’ which performs “Pijate ‘na pastiglia “Arena Flegrea of ​​Naples. In October, at The Place in Rome and was proclaimed winner of the Targa Bigi Barbieri on the 5th of humorous Song Festival copyright From the shaman showman, organized by the Cultural Center Theater Camuno and the Club Tenco Sanremo. At the same time receiving the award on September 21 ‘Lucio Battisti. In November, he was awarded the prestigious Premio SIAE / Club Tenco for best new author of thirty-Review of song writing scheduled from 8 to 10 November at the Ariston Theatre in Sanremo. 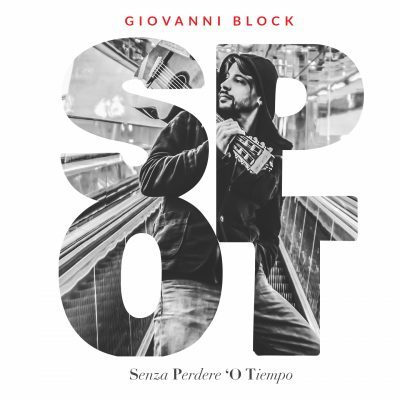 The award is assigned by the Club Tenco with this official reason: “Giovanni Block fishing in his tank of musical ideas with vividness and naturalness, while providing indications of civil coexistence possible. Napoli stops the worn folklore clothes reiterated to offer different and less proven musical directions, as well as a firm and courageous witness of civic education. ” Between January and February 2008 he worked on the new album by Alberto Patrucco, and in March participates in the exhibition “Roma di Amilcare”. In February 2008 he was appointed Honorary Member Of The Club Tenco. Between 2008 and 2009 by the music of some of the works by Cosimo Damiano Damato, among which are withered roses, with Arnoldo Foa, and Via Crucis, with Isabella Santacroce. 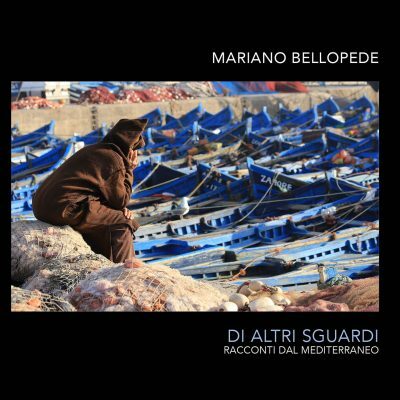 From September 2010 he entered the studio to record his first album “Un posto ideale” to be published November 2011, produced by Ettore Caretta and distributed by EGEA music. Artistic production is performed by Josh Sanfelici. Among the guests remember Sergio Cammariere and Fabrizio Bosso.